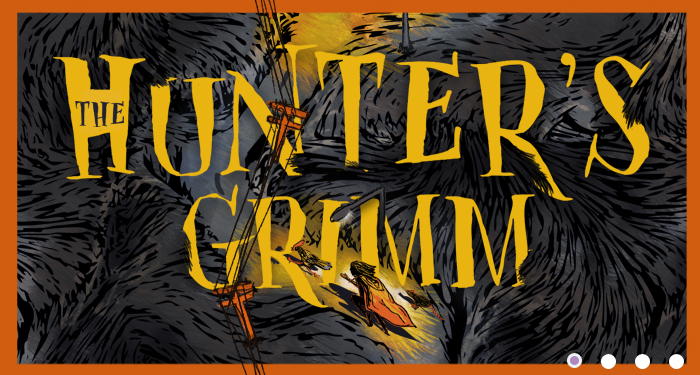 You are at:Home»Art/ Theatre/ Film»The Hunters Grimm Sell-out show returning to Catford! A family friendly version of the show will be performed on Weekend matinees. 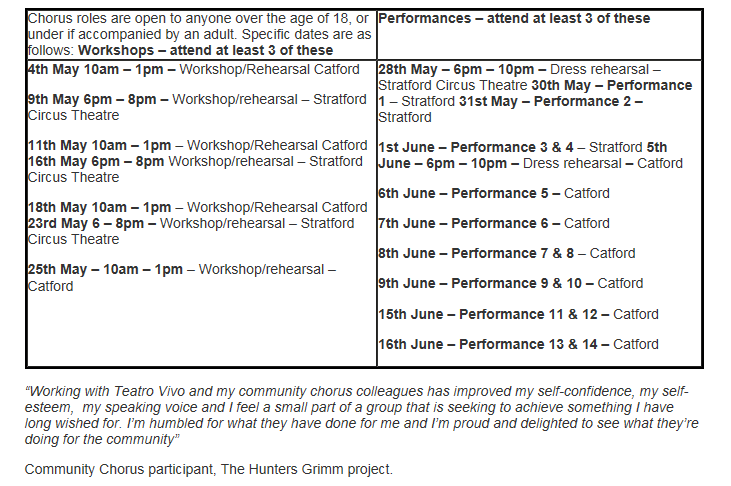 We’re also looking for people to be involved in the community chorus for the show. Teatro Vivo transforms much loved stories into theatrical adventures; collaborating with communities and audiences to turn everyday environments into magical worlds. We are based in South London and have been creating theatre since 2005. Inspired by classic stories and new writing, we make theatrical productions in any non theatre venue. Our aim is to inspire people to contemplate the nature of human engagement by creating performances that encourage a sense of play for all who experience them. We collaborate with artists from all backgrounds to open up the possibilities of what theatre can be and encourage non-professionals to participate in our process allowing us to share and learn skills and wisdom. We explore the environments that we work in to ensure our productions become an essential part of the community and a source of inspiration and entertainment for all.